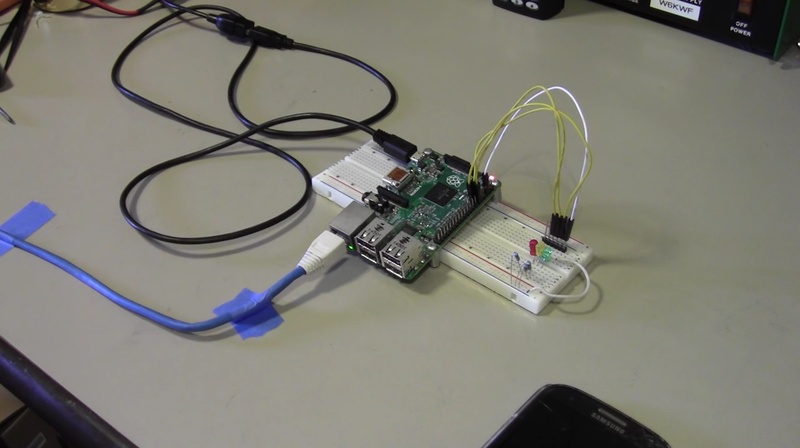 Demo of IoT Control via MQTT on #RaspberryPi #piday « Adafruit Industries – Makers, hackers, artists, designers and engineers! 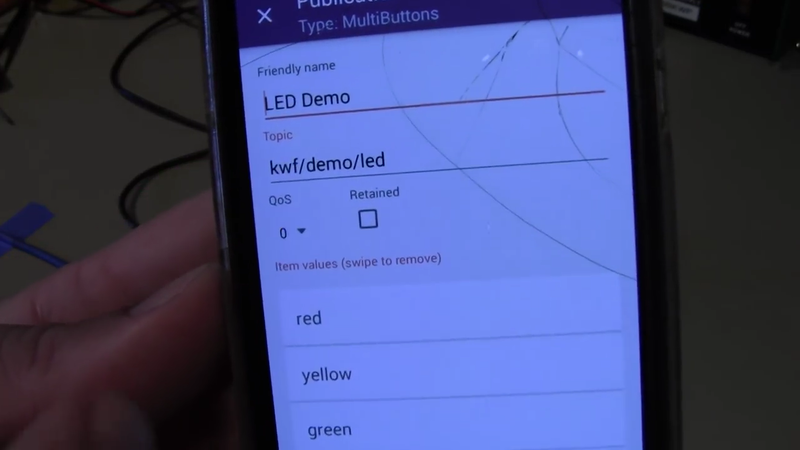 Kenneth Finnegan demos using a readymade MQTT app and “15 lines of Python” to turn off/on some LEDs, for future use in a tower light, or other type of multi-light indicator. Watch the video below and read more here on Kenneth’s blog. MQTT is essentially an Internet of Things protocol which is designed to pass single short messages between a set of devices publishing messages to a set of devices which are subscribed to that topic. 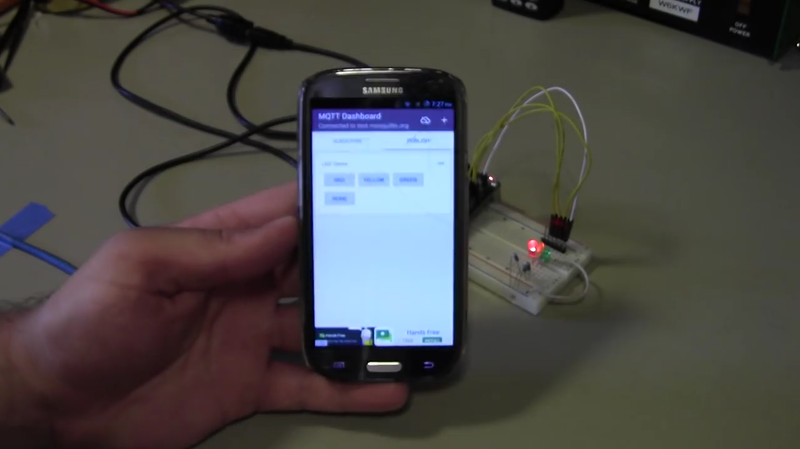 A fantastic example of where you might use MQTT is an Internet-connected light switch plus light bulbs. You would first define a topic for your room (i.e. home/livingroom/lights/ceiling) and then configure all the appropriate light bulbs to subscribe to that topic and listen for any messages published to it. You could then configure a light switch on the wall to publish “ON” when you flip it up, and “OFF” when you flip it down. Flip the switch up, it publishes the message to the MQTT broker, which forwards it to all the lightbulbs subscribed to the home/livingroom/lights/ceiling topic, which would all respond accordingly. BOOM! IoT paradise! What could possibly go wrong?! Read more here on Kenneth’s blog.